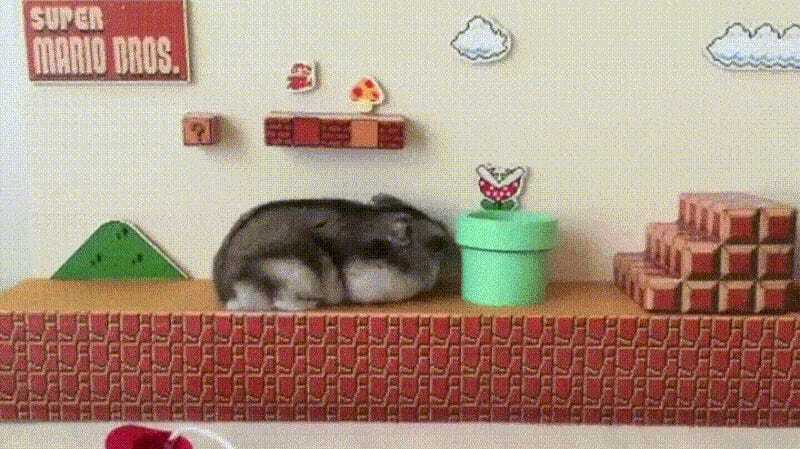 Oh, this is just a hamster trying to clear the hamster version of the very first stage in Super Mario Bros. That’s all. Yes, this stage is shorter, and yes, you can’t go down the first pipe in the real game. But put those concerns aside, because we have a Hamster trying to put on a tiny Hamster Mario Hat. Twitter user Yutako created this mini Mario stage during summer vacation, because her daughter wanted to make a maze for their hamster friend. Level 1-1 might be already perfect, but this little hamster makes it that much better.